So this year your family said enough is enough–it’s time Dad got caught up with the times and started using an iPad like the rest of the world! Great! Awesome! Exciting! Now what? I know there are plenty of tech savvy Dad’s out there that know what they’re doing with regard to their favorite gadgets. I’d like to think I’m one of them–at least most of the time. However, maybe for you it’s been a while since you’ve been pushed out of your comfort zone and tried something new. 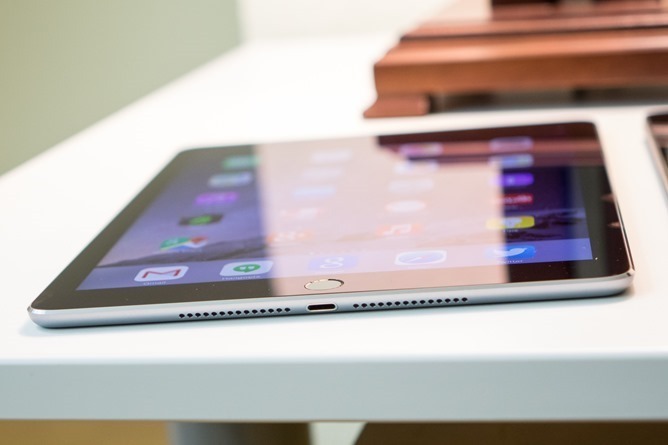 Regardless of your level of expertise, there is a basic set of steps every one should take after purchasing/receiving a new iPad, and we’re going to highlight a few of the most important ones to get you on your way to enjoying your new device ASAP. I know this doesn’t necessarily pertain to those who are getting a new iPad for the first time, but I felt it was important enough that it should be the first thing we talk about. First and foremost, and this can never be overstated enough–anytime you are upgrading to a new device, you need to back-up your data–preferably in more than one place. 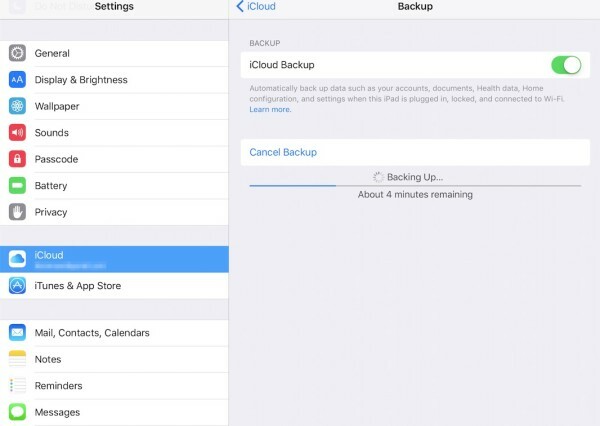 I generally back-up my devices in iCloud as well as in iTunes. It might seem excessive until that one time when you don’t have it. Backing up your data should also continue _after_ you go through the initial process. I highly recommend you turn on automatic iCloud back-ups. It’s easy, convenient, and it happens in the background while you sleep at night as long as you are connected to Wi-Fi. 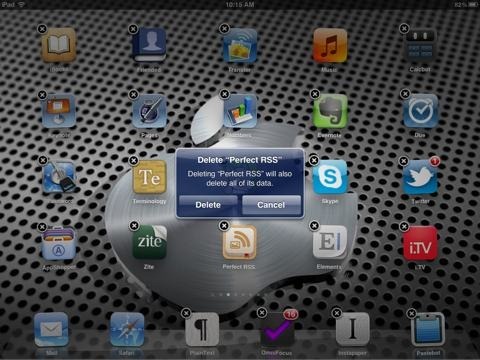 iPad Basics: Is It Safe to Delete Rarely Used Apps on the iPad? 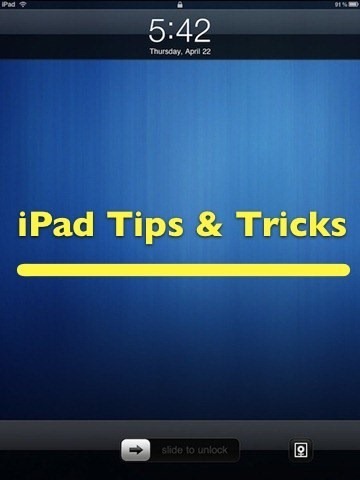 OK, seasoned iPad veterans look away – this is another iPad Basics tip, for those who are newer to iPad and iOS. 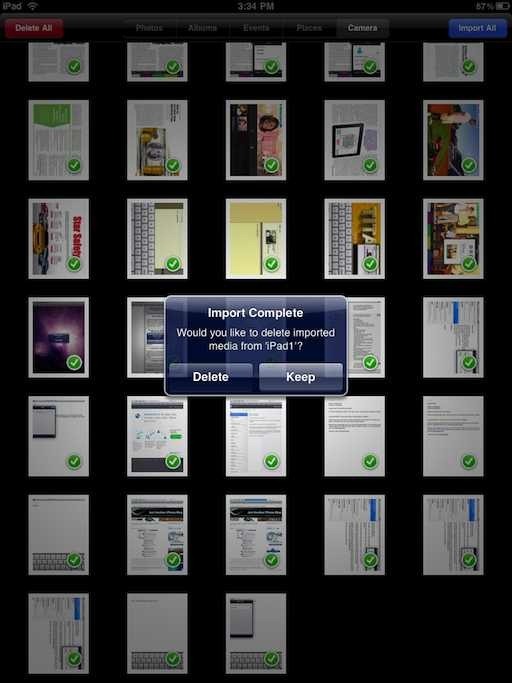 I was recently asked by a reader how he could archive apps that are not used regularly on his iPad. As in, he wanted to be able to delete some rarely used apps on the iPad itself in order to save storage space and clutter on home screens, without losing those apps forever. And happily the answer is that iTunes has us well covered in this area. iTunes does the ‘archiving’ for us. You can happily delete apps from the iPad itself but the record of your purchase remains on iTunes so at any point that you want to reinstall them it recognizes that you have already purchased them. They also remain in iTunes on the PC as long as you don’t delete them there. One important thing to be aware of when deleting an app that does not sync its data with a desktop or online partner, is that its data will also be deleted. The same goes for games. This is a good reason to look for apps that have a good sync setup. In iOS 4.3.5 and iOS 5, which should be released in the next few weeks, there is a new Purchased tab in the App Store on the iPad, which makes all of this even easier. There’s even a section for ‘Not on this iPad’ that shows you only apps you have purchased but do not currently have installed. And of course it’s just a single tap to reinstall any of them from there. 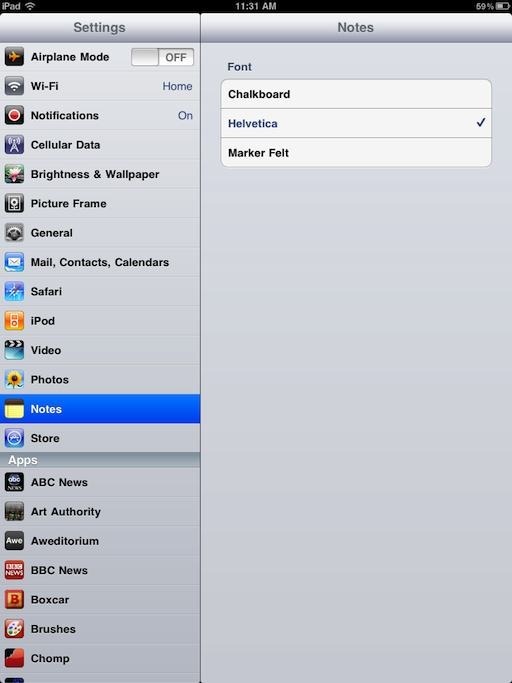 Those of you who have used an iPad for a while will want to look away from this post, as it’s a very basic tip. For those of you who are newer users, I hope it will prove useful. If you have a website you visit often and enjoy reading, say for instance a lovely iPad-focused site such as this one, and you’d like to add a shortcut to it to your home screen, it’s very easy to do. For many users, the iPad lives up to its description as an ‘intimate’ device – getting used often when laying around on a couch and similar. There are a number of situations – not least when playing games – when you will not want the iPad to continue its normal habit of flipping screen orientations as you shift it around; when you’ll want it to just stay fixed in landscape or portrait mode. 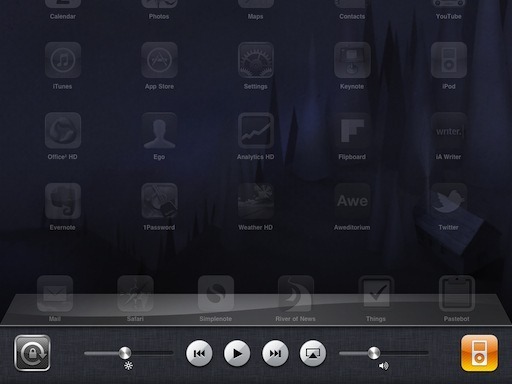 — Double-tap on the Home button to bring up the iPad’s Multitasking Bar. This will show you all your recently used apps. 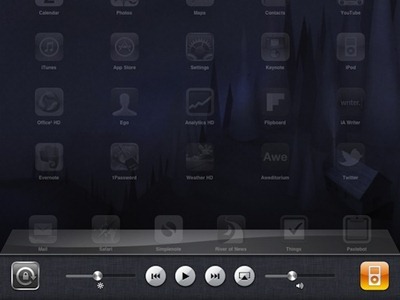 — Swipe to the right in the bar, in order to show the items at the far left of the bar. You should see the built-in iPod’s app icon, controls for the iPod, a brightness control slider, and the Orientation Lock control at the far left of the bar. — You simply tap on the Orientation Lock to toggle orientation locking on and off (in whichever mode it is currently in). That’s it. 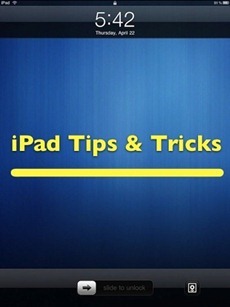 Another very basic but very handy iPad tip – hopefully helpful for those of you who are new to the iPad. This is another very basic tip for iOS 4.2 users on the iPad – so if you’re a savvy veteran user it’s best to move along now. One of the nice smaller features we gained with the 4.2 software update is the ability to change the font in the built-in Notes app. Doing so is super easy as long as you know where to go. You cannot make the change within the app itself. You just need to go to the Settings app, and tap on Notes in the sections pane on the left (just below Photos and above Store). Once you do, you’ll see the three current font choices shown in the right pane. Just tap on Helvetica your preferred font and you’re good to go. 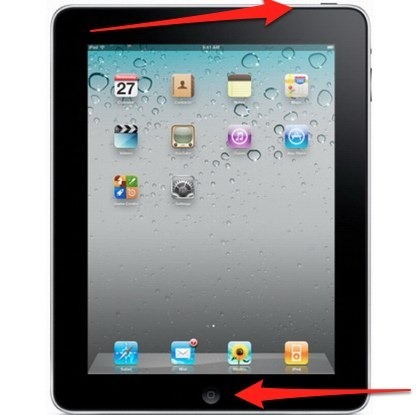 Since the iPad launched, the button at the top of the right-hand side of the iPad has been used as an orientation lock. 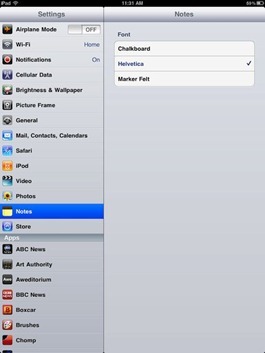 Under the iOS 4.2 betas, the button has been changed to a mute switch – and apparently that change is going to become a permanent one when iOS 4.2 is released to the public next month. According to a report at 9to5Mac, Steve Jobs has confirmed the permanent change in another of his direct email exchanges with a user. So in iOS 4.2, the top right button will be a Mute button and the Orientation Lock will be toggled via a button in the Multitasking Bar, just to the right of the iPod controls. Most of you may be well aware of the fact stated in this post’s title – but I get asked this a lot and see lots of people talking about how it’s not possible to print from the iPad. 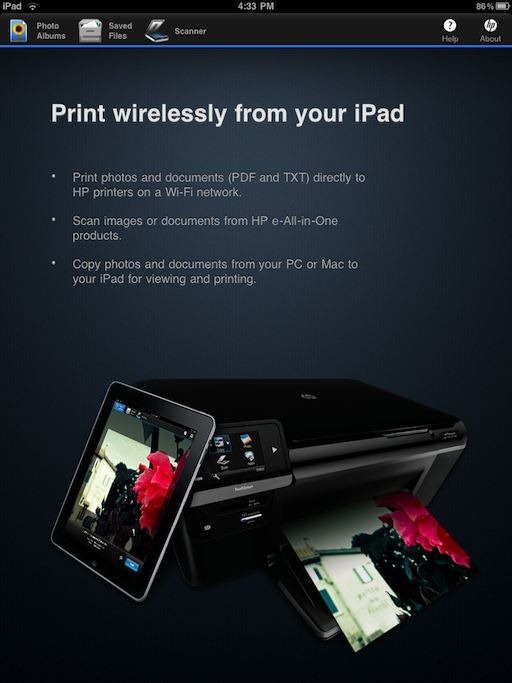 So I thought I’d do a quick post to confirm that yes, you absolutely can print from the iPad – and in fact if you have the right type of printer and a decent app, wireless printing from the iPad works very well. I’m no expert on this subject (yet ) but I’ve been giving it a go at home with a couple of wireless printers – and finding that it’s quite easy if your setup is right. OK, so this may be blatantly obvious to all of you – but just in case anyone was wondering whether the iPad Camera Connection Kit can import photos from one iPad to another, the answer is absolutely yes. I just got a new iPad 3G this week, and I’ve been gradually transferring some stuff from my WiFi model across to it over the last couple days. Today I started thinking about Camera Roll images and figured I’d see whether it was just as easy as grabbing photos off an iPhone. It is. New iPad recognized Old iPad just like an iPhone, fired up the Photos app in Import mode, and got all the images transferred in just a few minutes. It even resumed quite nicely right where it left off when I let it drift into sleep mode and woke it back up. So there you have it, the answer to a question that likely nobody was asking. Following the iPad’s launch in Canada, Rogers has posted a step-by-step guide to activating the iPad 3G on their network. 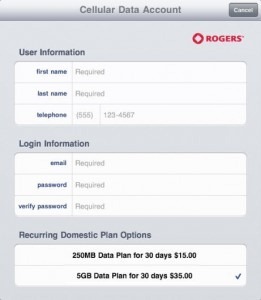 The guide covers first-time activation, managing your account, and offers details on data usage limits, how to cancel a plan and more.